There are several technologies that are disrupting the airline sector and starting to change the way air ticketing is done. Other technologies are starting to expand the offerings and benefits of doing your air ticketing with a particular carrier. Not sure if you really want that ticket upgrade? How about if you could see the real difference between that economy class seat and a first class premium seat? Now you can thanks to virtual reality headsets that some airlines, like Lufthansa, are using to boost air ticketing upgrades. You can get a full three-sixty degree view of what that first class seat will look like, along with the rest of the cabin. Now they will definitely be able to upsell that extra leg space offered in the exit seats. In fact this could also work for other travel-industry businesses like rental cars, bus and train seats, and more. Another technology that’s disrupting air ticketing and air travel are smart phones and automated food and drink ordering. Not only is Starbucks now offering remote ordering with on site pick up, but so are many airlines. In the fast paced world of air travel no one wants to be at the end of the line. Now you don’t ever need to be. Grab your smart phone, open the appropriate app, and order what you want. By the time you get through security it’ll be ready and waiting for you at your chosen vendor. That’s a great way to shave vital minutes off your run for the gate. Some shuttle services are trying to boost air ticketing sales by offering more amenities. A distinct turn away from the super-economy no frills airline service of the last decade or two. For example, JetBlue Shuttle is offering a carry on snack for their quick trips between cities like New York and Boston or New York and Washington D.C. That’s a great way to get hungry business travelers to remain loyal to your brand. Not really a technology perk, but how doesn’t like a free snack? One of the things KLM is doing is embracing customer reviews to the point that they’re now putting them on their own website for air ticketing. They are tapping into some major third-party databases like TripAdvisor to get the data and include it on their own site. This gives them a leg up on their competition. Customer testimonials are gold in terms of online marketing and when you have hundreds or thousands of positive reviews on specific routes it can really be the tipping point for people who are in the process of buying their air ticketing for their next vacation. Then, after your trip, they’ll ask you for your opinion as well so you can reinforce the positive vibe those routes and that carrier are getting. From air ticketing to taxis, it can all now be managed while in the air. Some carriers are offering all manner of new features through their in-seat entertainment systems. For example, you can book a taxi right from the screen while still in the air. That’s another great way to skip a queue at an airport. When you get off your plane and walk to the curb, you’ll have a taxi waiting. That’s a big change from a line of people trying to match up with a line of taxis and sometimes even coming to fisticuffs over them. Paper tags rip and tear off, meaning luggage gets lost or rerouted or simply left at an airport. 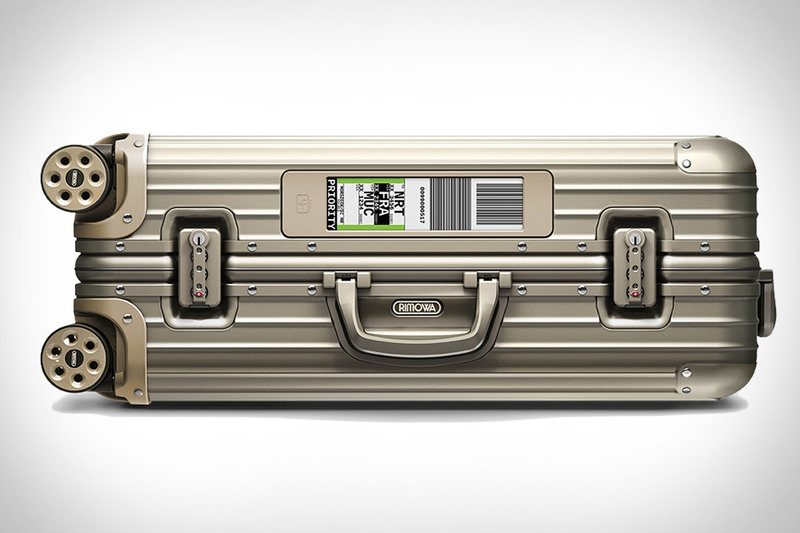 With new electronics tag suitcases, that will never happen to you again. At least, not for that very reason. With RIMOWA electronic tag suitcases, you can program the tag with all your air ticketing information via Bluetooth and your smart phone. Last minute air ticketing change that could lose your luggage on the go? Not with the electronic tags as you can just as quickly change the tag on your suitcase and get it rerouted along with you. These are just some of the ways that technologies and carriers are updating air ticketing for the 21st century. Ready to take that next vacation now? So are we! See you in the air! This article is part of the Stolen Content Writing project. Which is work I was not paid for after completion. I am reprinting them here. If you purchased this article from someone, contact me and I’ll remove it for information.